Toshiba Machine has expanded Chinese production of its EC-SXII Series, the global standard in injection molding machines. The company is adding the EC280SXII and the EC350SXII as two additional models to its production lineup at its China factory. The the EC280SXII has a clamping force of 2,744 kN (280 tf), while the EC350SXII features a clamping force of 3,430 kN (350 tf). The two machines are expected to help meet its customer needs in the automobile optical parts. Toshiba said the EC-SXII series offers several injection (plasticised) devices for use in specific applications. The machines offer high-load, high-injection pressure and high-speed injection specifications for automobile parts, optical parts, medical and food container sectors. Toshiba’s industrial customers can select from a wide range of optimum injection device for their specific applications. The INJECTVISOR V50/S51 Control System is a new machine which will also be introduced. The new core-back (foam molding) control circuit (option) enables more lightweight designs for molded products, while supporting several plug-ins such as sub-injection units for double injection molding machines for a wider functionality and for easy operability. The machine features preventive maintenance, remote maintenance and other IoT technologies to contribute to high productivity in molding plants which target zero downtime. The special plasticising system has been developed to reduce foreign matter and yellow defects in thick optical parts. The system also comes with a high-rigidity die clamping unit and multistage compression control (PRESTROL) that for allows shape accuracy, high microscopic transfer and reduce and integrate of internal stress that are required for molding for thick lenses. Toshiba (East Asia) Regional Operating Headquarters Masafumi Ito said: "Combined with our industrial robots, which will be produced in our China factory, this is a system solution for meeting the needs of our customers. “The EC-SXII series features a wide of array of packages for optical parts such as automobile LED headlight lenses, in-car lighting and displays, and more, for contributing to higher productivity and more stable precision molding." 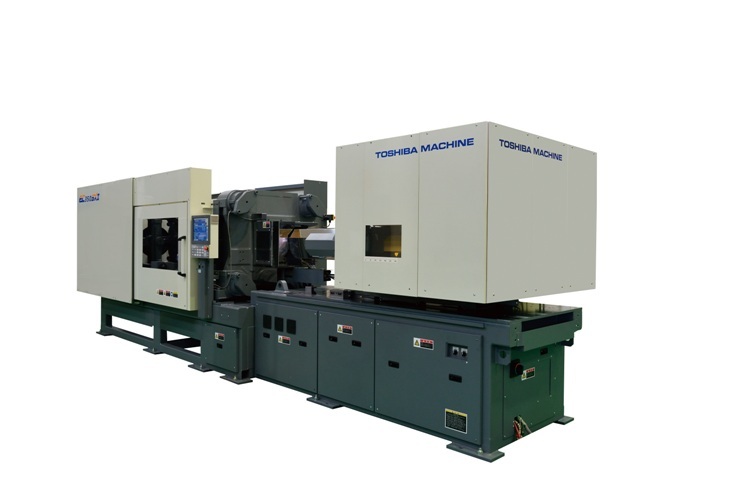 Image: Toshiba to introduce new injection molding machines at its Chinese factory. Photo: Courtesy of Business Wire.